The F-5E Tiger II came after the US Air Force called for a new light tactical fighter plane. This request was done in a bid to support the allies of the United States as well as to offer a new plane to the international market. Following the warm response of its F-5A Freedom Fighter, Northrop opted to trick out the F-5A. 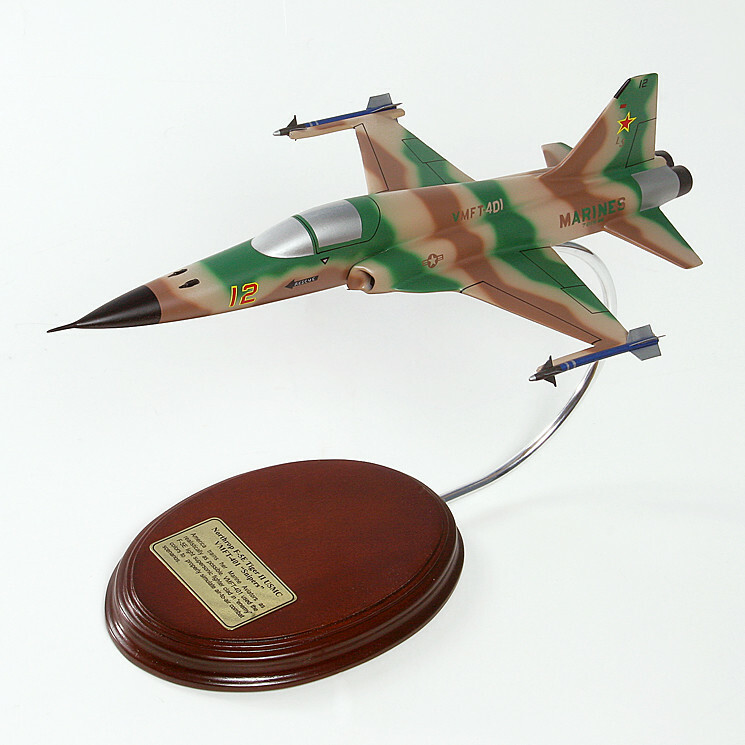 The resulting plane was the F-5E which was named after the Skoshi Tiger Unit which flew the Freedom Fighters during the Vietnam War. The F-5E Tiger II was powered by two General Electric J85-GE-21 B turbojet afterburning engines. It boasted a maximum speed of 1,082 mph and a maximum range of 2,314 miles. An eye-catching feature of the aircraft was its heavily tricked-out weaponry. It had a dual Pontiac M39A2 set-up with 280 rounds each, and it can carry about 3,200 kg of bombs and/or rockets. The AGM-65 Maverick missile, which can be one of the F-5E’s armaments, would give the plane considerable power to destroy tanks. From the F-5E, two variants were developed by Northrop which were: the RF-5E Tigereye and the F-5F Tiger II.Display poorly crafted models no longer; get your hands on this outstanding F-5E Tiger II aircraft model. Stroke your hands on this item’s smooth surface and fine details in and out. Witness the expertise done on this item from the clean paint scheme to the flawless real-feel design. This wood model aircraft is a proud creation of our team of experienced craftsmen and former pilots so you are assured of its quality.